HomeNews in PerspectiveWhat happened to trade minister – Usu Boie Kamara? 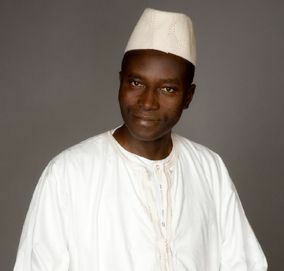 Unconfirmed reports from Sierra Leone yesterday said that the trade and industry minister – Usu Boie Kamara has died. Still there is no official statement from State House to clarify the story. Sierra Leone is the only country in the world where a government minister will be urgently flown out of the country on a private jet the nation can ill-afford, without accountability to the peple. Whether the minister is critically ill in London or not, State House owes it to the people to let them know what happened so as to stop speculations. Everyone in the country is in fear of ebola and will be forgiven to believe that any health emergencies involving a minister being urgently flown abroad, is ebola related. Why was Dr. Modupe Cole not flown out of the country on a private jet for treatment elsewhere, even to Liberia whose president has the common sense of phoning president obama to request the ebola drug now being used in Liberia? Why was Dr. Khan not offered the same luxury of being flown out on a jet plane? Are some lives more precious than others in Sierra Leone? In a separate development, there is growing concern in Freetown and overseas about the welfare of the family of Dr. Modupe Cole, who are still being locked up indoors for almost a week – with armed soldiers posted outside, since Dr. Cole was removed to the Kailahun Ebola centre where he was pronounced dead yesterday. Members of the Cole family living at the doctor’s residence have not been tested Ebola positive, but are being kept prisoners in their own home. Surely, there has to be a fine balance between the need to promote public health and protecting the human rights of the Cole family. Treating them like criminals will not stem the tide of Ebola in Freetown. The government must either declare them Ebola positive and move them to a treatment centre, or give them back their freedom. This kind of extreme action by the authorities is seriously encouraging those that are suspected of contracting the virus to go into hiding, and will not help the fight against the disease. The arrival of ebola has really and truly tested the ability of those elected to govern Sierra Leone. At the best of times ministers have woefully failed to manage the affairs of State. Now with ebola, it is obvious that they cannot manage an akarra stall in big markit. The management failures that are being witnessed must be placed squarely at the doors of State House. The president and ministers are not a rag tag band of volunteers. They are elected public servants who by Sierra Leone standards are being paid hefty salaries to perform their duties effectively, while doctors are being paid pittance to save lives. This will most surely be considered by the people at the polls in 2017, or soonest. A message of solidarity with health care professionals at the Ebola virus epicentre in Kenema. In this my first message to the people of Kenema I would like to take this opportunity to say how deeply sadden I am for all those who have fallen victims of the Ebola virus in the country. I extend my sincere sympathy and condolences to the victim’s relatives and love ones. Our history as a nation has been replete with brave men and women who have shown extraordinary courage and sacrifices in the face of extreme adversity. From Bai Bureh who fought against the immorality of British colonial taxation without representation to Segbeh Pieh who led a revolt against the inhuman practice of slavery to Chief Hinga Norman and the civil defence forces who defended their communities against the combined brutal RUF/AFRC to reassert the rights of their people to freely elect a government of their choice. Our history is painful at times but our resilience and fortitude have remained strong; never defeated by evil deed or subdue by national disaster. This same national characteristic is guiding our health care professionals who are battling the deadliest of virus known to the world. Today our country is facing a different war, as Andrew Keili aptly described it after his facts finding visit at the Kenema hospital. A war that is silent but nonetheless deadly and poses existential threat to our people. The government quarantining of a whole region, having failed to stop the virus from spreading, has brought untold hardship in these communities. Economic activities have halted leading to scarcity and high increases in basic commodities such as rice, which is the staple food. In spite of the risks the Ebola virus poses to the health care officials who are in the front line and in spite of the deaths of many of their colleagues in front of their eyes, the staff continues to confront these dangers on a daily basis with exemplary commitment and sense of duty. Poorly paid and ill equipped, they remain on the battlefield to save lives whilst putting their own at great risk. I have read the moving story of Nurse Josephine Finda Sellu in Kenema who reaffirmed her determination to continue to save lives even when 15 of her staff have perished from the virus. The courage and bravery shown by Ms Sellu in the face of unprecedented risks to herself deserves the highest commendation. She and all our health care workers are national heroes and deserve our supports. Today, I have dispatched a sum total of 2,000000 to the frontline staff at the epicentre in Kenema in recognition of the sacrifices made by nurses like Josephine Finda Sellu to assist them in the extraordinary dangers they face in doing their jobs to save others. In addition to this I will be joining others to raise funds towards the Ebola foundation and I shall be making the necessary arrangement with the UK coordinator Ms Nancy Banya. Equality is an ideal! This Ebola outbreak has exposed the nakedness of the Government. The praise singers have been shouting from the rooftops about infrastructural development and turning Sierra Leone into a works yard. But Ebola has exposed the Government. There is no wellbody or health infrastructure in the country.